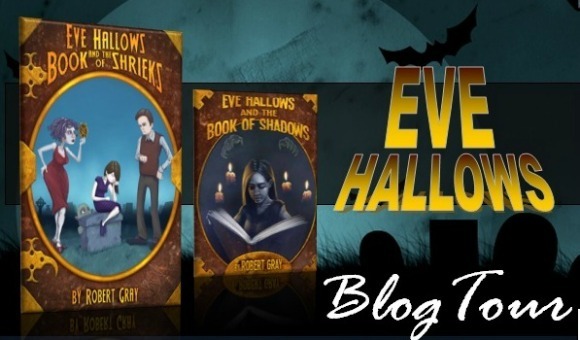 This is a guest post by Robert Gray, the author of Eve Hallows and The Book Of Shrieks and Eve Hallows and The Book Of Shadows. I've always been a fan of Christmas stories--from the outright hysterical to the festively gruesome. So, in the spirit of the season, I thought I'd offer up my top ten favorite holiday stories of all time. How could I forget that Gremlins was a Christmas movie???? I love Christmas Vacation, we watch it multiple times every year! My favorite Christmas stories are Jingle All The Way, Gremlins, National Lampoon's Christmas Vacation and Christmas With The Kranks. I saw a white Christmas this year. Never saw it before. I also finished watching Elf and I liked it. Happy new year!!! Love following you – brings a smile to my face :) Happy Christmas! Totally forgot about Gremlins. I usually watch It's a Wonderful Life but didn't have time this year. Great list! I love so many of these Christmas stories! I think my favorite may be Rudolph The Red-Nosed Reindeer though – so cute. Elf is such a great movie! Makes me laugh every time! I loooove Christmas stories. Christmas stories are just too perfect. Good luck with the new novel. I found you through the blog hop. Please stop by and say hi when you get a chance. Have a great week. I love How The Grinch Stole Christmas. It's one of my favorites. Would you believe I've never seen It's A Wonderful Life in full? It's pathetic and I don't know why it hasn't happened yet. Thanks for linking up with us!